Tonight we kick off Lexus in grand style with the car that was their Kool-Aid-Man-through-a-brick-wall entry into the marketplace, the LS400. It’s become cliché in amazingly short order, but there really are no bad cars being made as of 2019. Maybe a few not great cars, but every car on the road is competent. That wasn’t the case in 1990. America’s marquee brands were still feeling the effects of the maelstrom that was the malaise era, @bmwclassic was a slightly more fledgling concern than you likely recall, @audi was a non-factor in the US, and @mercedesbenzhad a strangehold on the luxobarge market reflective of all of the above. @Toyota (via @lexususa), was taking its last steps as a padawan and entering the realm of master. Its doctoral thesis? The first generation LS400. What’s the best one to buy? If you’re really into the historical significance, a low-mileage 1989 model. 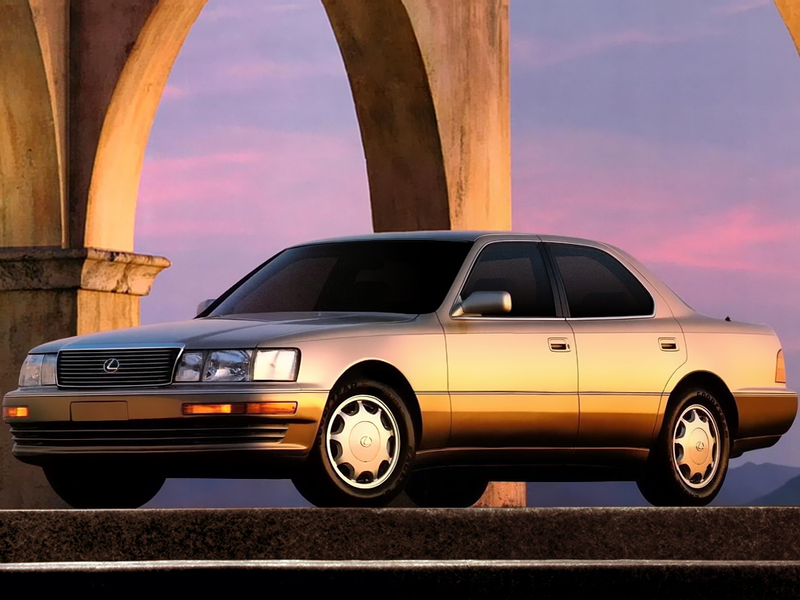 A host of mild upgrades arrived for the 1993 model year, but the first series of LS400 is generally regarded as a tank. Sheetmetal was slightly tweaked for 1995, but the biggest change was a 200 pound reduction in curb weight. Sheetmetal changed once again for 1998 along with the most significant upgrade in the LS400's run to the 290 hp 1UZ-FE. If you’re in this for a driver, the 1998 - 2000 models are your ticket to ride, although some suggest they’re the most homely looking iteration of the LS400.